FABBS is a coalition of scientific societies that share an interest in developing knowledge for the betterment of society by advancing the sciences of mind, brain, and behavior. Membership is open to scientific societies and related organizations that share an interest in this goal. We welcome scientific societies that want to work in coalition to advance the sciences of mind, brain, and behavior and disseminate exciting findings for our sciences to policy makers and the public. Member societies interact with FABBS leaders and staff to craft an advocacy and education agenda each year that draws upon the collective interests of our scientific community. Throughout the year, FABBS also identifies opportunities for our member societies, individually and collectively, to participate in the policy process. As a member, each scientific society designates one or more representatives to serve on the FABBS Council of Representatives. These representatives and other society leaders communicate with the FABBS Board and staff throughout the year about science funding and policy and dissemination efforts. In addition, the FABBS Board and Council of Representatives meet once per year in early December to plan for the coming year. This meeting provides an opportunity to interact with the FABBS Board members who oversee advocacy and educational programming as well as recognition of eminent, senior scientists and early career scientists in our fields. Member societies pay dues to support the work of FABBS. Dues are based on the size of the society and the number of U.S. scientists in the society. We offer discounted rates over the first two years for any society that wants to explore membership in FABBS. As a past President likes to say, “Per person, the cost of joining is less than the cost of an appetizer!” In other words, joining is good for your budget and good for our sciences! 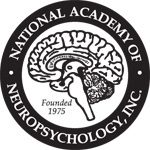 The mission of the APA is to advance the creation, communication and application of psychological knowledge to benefit society and improve people’s lives. Annual Meeting: 8/8/19 – 8/11/19 (Chicago, IL) For the latest news and events at APA, check out the latest issue of Psychological Science Agenda, the official newsletter of the APA Science Directorate. AAPB’s mission is to advance the development, dissemination and utilization of knowledge about applied psychophysiology and biofeedback to improve health and the quality of life through research, education and practice. The Association for Behavior Analysis International’s mission is to contribute to the well-being of society by developing, enhancing, and supporting the growth and vitality of the science of behavior through research, education, and practice. The purpose of the Behavior Genetics Association is to promote the scientific study of the interrelationship of genetic mechanisms and behavior, both human and animal; to encourage and aid the education and training of research workers in the field of behavior genetics; and to aid in the dissemination and interpretation to the general public of knowledge concerning the interrelationship of genetics and behavior, and its implications for health and human development and education. Promote and encourage research on the development of behavior in all organisms including man, with special attention to the effects of biological factors operating at any level of organization. Such research may involve both descriptive and experimental methods and be undertaken under either natural or controlled conditions. Facilitate communication of research results and theory in the area of Developmental Psychobiology through the use of both professional and popular printed media and through the presentation of papers at meetings of the Society. Promote research of brain behavior relationships. Enhance communications among those scientific disciplines which can contribute to the understanding of brain-behavior relationship and neuropsychological disorders. Enhance education into neuropsychological disorders. The Society for Judgment and Decision Making is an interdisciplinary academic organization dedicated to the study of normative, descriptive, and prescriptive theories of decision. Its members include psychologists, economists, organizational researchers, decision analysts, and other decision researchers. The Society for Mathematical Psychology promotes the advancement and communication of research in mathematical psychology and related disciplines. 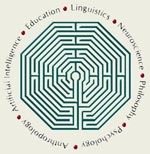 Mathematical psychology is broadly defined to include work of a theoretical character that uses mathematical methods, formal logic, or computer simulation. To promote the conduct and communication of scientific research in the field of psychopathology. To encourage education and training in those fields of science that contribute to research in psychopathology. To publish from time to time such books, journals, or other publications and to hold conferences and other meetings that are likely to further the aims of the Society. 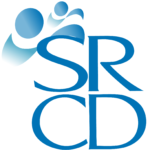 The Society for Research in Child Development is a membership association that advances developmental science and promotes its use to improve human lives. The purposes of the Society are to promote multidisciplinary research in the field of human development, to foster the exchange of information among scientists and other professionals of various disciplines, and to encourage applications of research findings. Our goals are pursued through a variety of programs with the cooperation and service of our governing council, standing committees, and members. The Society for Text & Discourse is an international society of researchers who investigate all aspects of discourse processing and text analysis. The purpose of the Society is to consolidate research in discourse processing and to enhance communication among researchers in different disciplines. A second objective of the society is to contribute to the education and professional development of those in the field or entering the field. SPSSI affords social and behavioral scientists opportunities to apply their knowledge and insights to the critical problems of today’s world. SPSSI fosters and funds research on social issues through annual awards and programs of small research grants and disseminates research findings through its scholarly journals, sponsored books, specialized conferences, and its convention programs. With headquarters in Washington, DC, the Society influences public policy through its publications and the advocacy efforts of its members, fellows, and staff. SPSSI encourages public education and social activism on social issues and facilitates information exchange through its newsletter and electronic dsicussion groups. The Society’s mission is extended to the global arena by a team of representatives who cover developments at UN headquarters in New York and Geneva. SPSSI has been represented at the United Nations as a Non-Governmental Organization (NGO) since 1987. 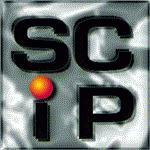 SPSSI serves as consultant to the UN Economic and Social Council (ECOSOC). The Society for the Scientific Study of Reading (SSSR) was created in 1993 by Ronald P. Carver. The purpose of SSSR is to promote the scientific study of reading and to disseminate information about reading and related areas such as language and literacy. Society of Experimental Social PsychologyThe Society of Experimental Social Psychology (SESP) is a scientific organization dedicated to the advancement of social psychology. The Society of Multivariate Experimental Psychology was founded in 1960 to encourage the development of psychological theory and knowledge in the context of multivariate designs, multivariate statistical analysis, and multivariate quantitative methodology, broadly construed. Its members include specialists in statistics, psychometrics and methodology as well as psychological researchers of personality, development, cognition, organizations, education and social psychology who incorporate multivariate systems into their theories and experiments. The Vision Sciences Society is committed to progress in understanding vision, and its relation to cognition, action and the brain. Our primary goal is to host a yearly meeting where both new and established investigators from diverse disciplines and scientific perspectives present and discuss their work in a relaxed informal setting.